Baker-Rullman Mfg., Inc., located in Watertown, Wisconsin, USA (www.baker-rullman.com), a manufacturer of corrugated steel storage bins, hoppers, steel structure and triple-pass rotary drum dryers has announced that they have supplied two new, low-emission, natural gas burners to Chivas Brothers in Glasgow, Scotland, where the Strathclyde distillery produces the grain whiskey for all of the Scotch Whiskies in the Chivas Brothers portfolio. 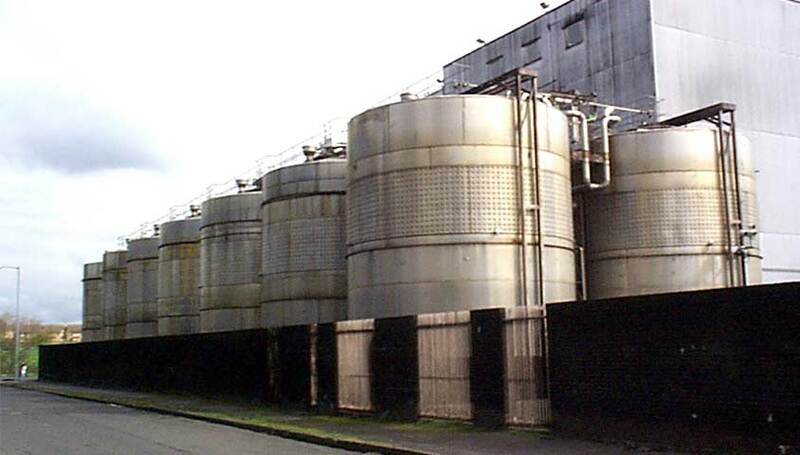 This distillery currently operates two of Baker-Rullman’s all stainless steel 90-30 rotary drum dryer systems. Chivas has been a customer or Baker-Rullman since 1976 and uses the Baker-Rullman rotary technology to re-purpose spent grains from the distilling process into a co-product called distillers dark grains. The end result is then sold for use as an animal feed. We have a lot of industry experience when it comes to the manufacture of spirits and our Triple-Pass technology was a perfect fit. Because of Chivas Brothers being a such a well organized operation and our experience working in Great Britain, the project went very smoothly. Based in Scotland, Chivas Brothers, owned by Pernod Ricard since 2000, was first established in 1801 in Aberdeen, Scotland and are makers of Chivas Regal and Ballantine’s Scotch Whiskey. For more information contact Baker-Rullman Mfg., Inc., 920.261.8107, or visit the website at www.baker-rullman.com. Baker-Rullman Mfg., Inc., located in Watertown, Wisconsin (www.baker-rullman.com), a manufacturer of corrugated steel storage bins, hoppers, steel structure and triple-pass rotary drum dryers has announced that they have been chosen to supply a complete drying system to Varn Wood Products of Hoboken, GA for the purposes of drying wood sawdust and producing wood pellets. 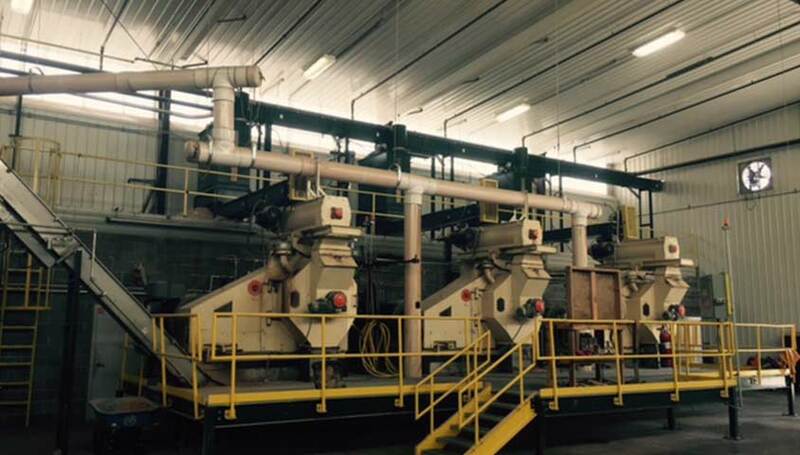 The system includes Baker-Rullman’s 130-60 Triple-Pass Rotary Drum Dryer. We have a lot of wood industry experience particularly in sawdust and shavings, and our triple Pass dryer technology is a perfect fit. 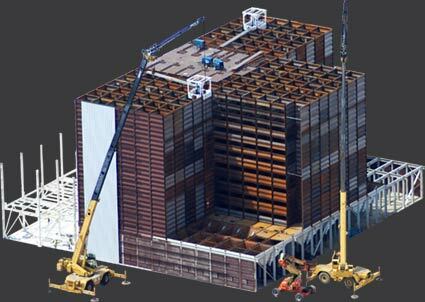 Because of the customer’s pre-planning and well executed due diligence, we expect the project to go very smoothly. 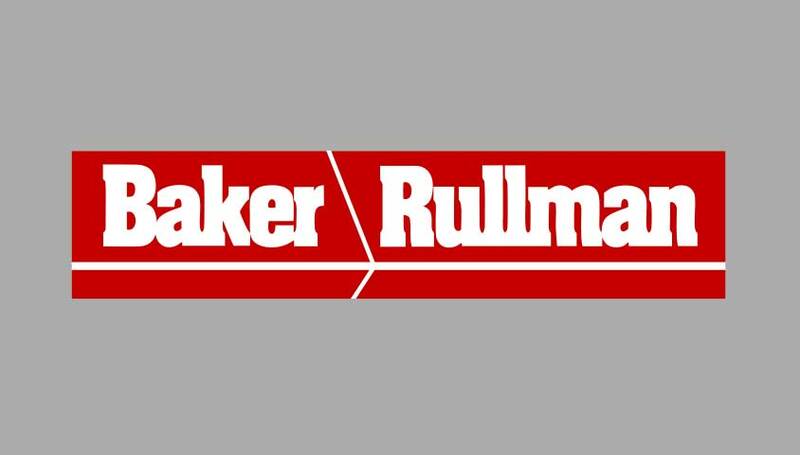 Baker-Rullman Mfg., Inc., located in Watertown, Wisconsin (www.baker-rullman.com), has discontinued the 62C442 and 62C443 flanged and flat rollers. They have been replaced with a new design and part numbers 62D016 and 62D017 flanged and flat roller assemblies. The replacement rollers are similar to the obsolete rollers, as they have the same diameter and width. The replacement rollers have a larger shaft diameter, with internal bearings and components making these rollers more durable, and have a much greater load capacity. The new replacement rollers have a pillow block hold down allowing the roller to rotate around the stationary shaft. Maintenance is the same, and requires grease to the zerks at the end of the roller shafts every 8-12 hours of run time. There will be some required re-work to the existing roller bases in order to retrofit the new rollers. The customer will be required to add some stiffeners, and new holes for the new pillow block hold downs. We will provide the necessary drawings with dimensions and locations for required retrofit. Any material and labor for re-work is the responsibility of the customer. Baker-Rullman Mag. can also provide the complete base assembly with the new rollers installed. It will have the same anchor bolt locations, and would be a quick replacement of the old base. If you have any questions, please feel free to contact Bruce Miller, Jason Erickson, or Scott Strege. Let our 50 years of industry experience guide your next project!